To provide students with a Christ-centered education based on a Christian worldview. To offer a rounded education in academic, physical, moral and spiritual areas with God as central. A Christian education that not only teaches how to make a living but how to live, with the Bible being central to all subjects. Students have the opportunity to know Jesus Christ as their personal Saviour. Our expectations of conduct for students is to honour God and show respect to teachers, peers, school property and themselves. We desire to provide opportunities for our students to grow in godly character and develop a life of service to God and others. Model and instill Christian values in our students. Teachers have a growing relationship with God and provide Christian leadership that demonstrates biblical morals and standards of Godly character. Strathcona Christian Academy opened its doors as an outreach ministry of Sherwood Park Alliance Church in 1980 with an initial enrolment of 347 students. The school evolved and enrolment increased, leading toward a mutually beneficial partnership with Elk Island Public Schools in 1998 as an alternative Christian program. The vision for Christian education that would not sacrifice excellence in academics, sports, arts and leadership has not changed over the years, and is respected and supported by EIPS. With the addition of a second campus (elementary) in 2007, SCA has become two school campuses with one vision — Christ-centered education and excellence in all that students can become. 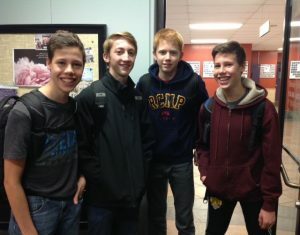 The Strathcona Christian Academy Society (SCA Society) Board acts as a liaison with EIPS and exists to maintain the Christian component of the school curriculum and daily life. 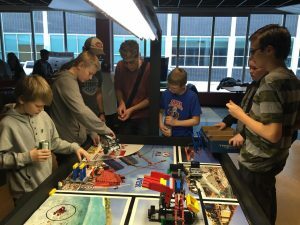 Alberta Education and EIPS provide funding for public school initiatives. The need to collect fees, do fundraising, create a budget and administer the Christian component of the school falls onto the SCA Society Board. Our Society Executive coordinates and executes our strategic plan for growth, funding, and mission/outreach components of the school. The Board is firmly committed to maintain and grow the Christian component of the two SCA campuses and to hold the direction and vision of the Christian component of SCA at the forefront as the schools continue to grow in the future. If you are interested in joining the staff team at SCA, you must first apply through the EIPS application process. Applicants must understand and support the philosophical basis of the programs (see SCA Staff Handbook).